Whether Binghamton University was your first choice or your backup school, you have likely heard rumors about BU that aren’t entirely true. We’re here to clear up any and all misconceptions about BU. Many incoming freshman fear being forced to live in their last-choice dormitory placement. For those who placed Hinman College on the bottom of their totem pole, yet were still assigned a room in the community, it will come as a relief to know that it isn’t as bad as you may have heard. Some believe it to be old — and thus degraded — and lacking community because it is frequently a last resort. In reality, Hinman College is community-oriented, its unique layout facilitating close friendships. It is one of the least expensive dorm options, and many laud its dining hall as the best on campus. Additionally, it is only a short walk from Lecture Hall and the other academic buildings. A commonly held misconception is that because BU doesn’t have a football team, BU’s sports are trivial. In fact, the opposite is true, as we are a Division I school with many athletes who go on to play professionally. We may not be a “Big Ten” school, but the games are free to go to and it’s fun to support our teams, so games are definitely worth checking out. Keep an eye out for games with giveaways and other exciting events to showcase your school spirit. As the “premier public ivy,” BU has a reputation for being a second-rate backup option for students who were unable to get into Cornell University or other prestigious Ivy League schools. That couldn’t be further from the truth, since many students set their sights on BU from the get-go. Not everyone transfers after their first year here, either. Many find their fit with BU and couldn’t even consider leaving their new home. If you are thinking about transferring, however, be open to the idea of staying here. Don’t close yourself off from the copious opportunities BU has to offer because you think of it only as a bridge to another school. Though there is a growing emphasis on STEM fields, you can find your place at BU regardless of your major. Don’t be discouraged by BU’s reputation as a prestigious science and research institution, because its humanities are just as reputable. All college food gets a bad reputation of being so disgusting it may as well be inedible. Contrary to this popular belief, however, Sodexo food isn’t so bad. You likely won’t enjoy every single dish the dining halls serve, but you will find your favorite things, and you might even look forward to eating them. You may have heard that BU is a “party school,” and that if you’re not at a party on a Friday night, the only thing left to do is hole up in your room studying. The truth, however, is that there are plenty of things to do in Downtown Binghamton that have nothing to do with its bar scene. Downtown Binghamton is a bona fide college town, and thus offers many opportunities for entertainment, including First Friday, when some art galleries Downtown are open to the public at no cost; Restaurant Week, where you can get a three-course meal for roughly $20 and more, like Mural Fest and LUMA Projection Arts Festival. 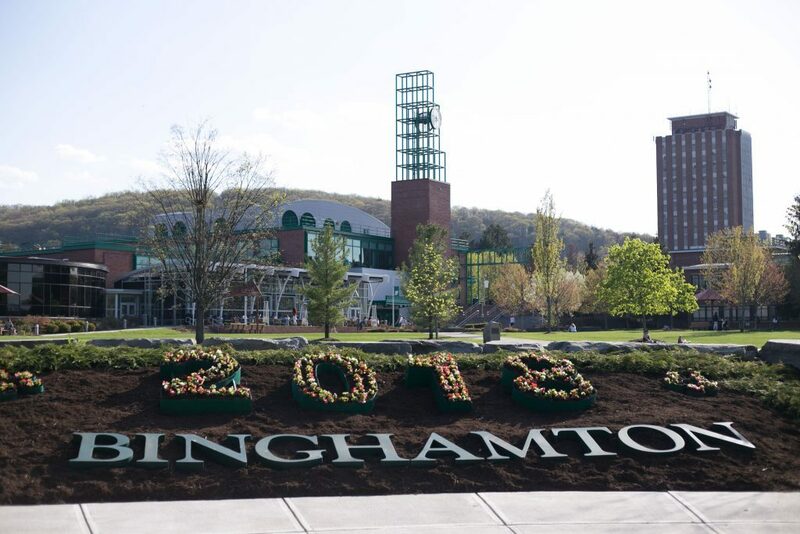 If you’d rather stay on campus, Late Nite Binghamton shows popular movies and hosts themed events every weekend. Chances are you have heard every BU rumor ever told. Regardless of what you hear or what your future plans are, it is important to embrace BU with an open mind and figure it all out for yourself.